Irish music has proved to be one of the most versatile styles in the world -- a sound that has been fitted and fused into a dazzling range of genres, from Celtic rap to reggae. While Celtic Woman has been busy achieving success in theaters and arenas with its streamlined pop approach, a rowdier strain of Irish fusion music has been thriving in American clubs and bars. With a debt to the rollicking pub rock pioneered by the Pogues in the 1980s, these groups have been melding Irish music traditions with one of their natural modern cousins: punk rock. Dropkick Murphys: Formed more than a decade ago in the Irish hotbed of Boston, this high-energy outfit plies a brand of hard-nosed working class rock, amply displayed on the new concert album "Live on Lansdowne." Flogging Molly: A batch of veteran metal and punk players founded this L.A. band in 1997, marrying acoustic instruments and frenetic electric punk for a distinctive, defiant sound. Fiddle player Bridget Regan is a Detroit native. Black 47: A much-respected veteran of the scene, this New York band served as a key bridge between the Pogues and the new wave of Celtic punk. 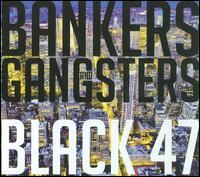 The group just released its 13th album of socially conscious rock, "Bankers and Gangsters." The Young Dubliners: This Los Angeles five-piece is another influential scene elder, with a fiery but expansive sound that visits classic rock and jam-band territory. The Tossers: Perhaps the leading Midwest contribution to the Celtic rock world, this Chicago ensemble delivers with a boozy, spirited energy.